Who would have thought that 200 million year old fossil leaves would contain so much chemical and molecular information!? The vegetation we see around us today, the trees, bushes and flowers are the descendants of the plant species that survived previous mass extinctions in Earth’s history, evolving into our modern ecosystems. However, a vast number of plant species remain as imprints in the rocks, individuals of the major plant groups that became extinct millions of years ago. Researchers typically use genetics to determine the relationships between modern plant groups. However, this method cannot be applied to fossil plants, not yet…, because DNA rapidly degrades in buried plant tissues. Palaeobotanists instead, generally use morphological (size, shapes and patterns) similarities between leaves to evaluate the relationships of fossil plants, but often we only have small fragments of leaves to work with. The initial idea for this study began several years ago as a result of the Swedish government investing in the synchrotron radiation facility MAX-IV, and at this time I was working at Lund University. The science faculty encouraged their scientists to work across disciplines and to use the new synchrotron facilities. I turned to NASA to see what methods they were applying when searching for signatures of ancient life, for example on their Mars missions, and decided that I would analyse for organic matter in fossil plants and pollen with Infra-red (IR)-spectroscopy. This method uses infrared light (IR light) to build a chemical “fingerprint” of the fossil. Because different bonds between atoms absorb IR light at different wavelengths, IR-spectroscopy can identify the bonds present in an organic substance and provide important information concerning the structure of the molecules present. In order to assess whether the method worked, the study began by analysing leaves of selected modern plant groups, which have relatives preserved in the fossil archive. Off I went to Lund Botanical Gardens, to the tropical green house that hosts many of the ancient plant groups. These plants formed forests before, or during, the time of the dinosaurs and long before the flowering plants appeared. During the first year I analysed the material with guidance from co-author Dr. Anders Engdahl and subsequently with great help from my colleagues and co-authors, Professor Per Uvdal at MAX-lab and Dr. Milda Pucetaite from Vilnius University, we could show statistically that the plant-group similarities determined on the basis of IR-spectra from modern plant leaves match the relationships inferred on the basis of DNA studies! This simply means that conifers grouped with conifers and cycads with cycads, just as we would expect. Once we determined that that the method worked on modern leaves, we proceeded to analyse fossil plants that have close living relatives. This is where the 200 million year old fossil forests come in; leaves are rather special as they generally contain very robust organic compounds. The fossil leaves were collected from rocks in Sweden, Greenland, China, Australia and New Zealand and I visited the paleobotanical collections at the Geological Museum in Copenhagen in order to sample fossils leaves from the Triassic (200 million years ago) of Greenland. During the Triassic, Greenland indeed was a green continent, with vast forests. Some of the leaf fossils were exquisitely preserved. In a surrealistic manner these ancient leaves blow in the wind as the rock is cut open – it’s just amazing! Several fossil leaves were sampled from the important collections at the Swedish Museum of Natural History, and others were sent to me by colleagues from New Zealand and Australia. We started off with the fossil plant groups which have known living relatives, such as the broad-leaved conifers that today grow in the southern continents (e.g. podocarps and araucarians), but which during the Triassic and Jurassic also inhabited the Northern Hemisphere floras in present day Europe, China and USA. Among other groups, we analysed several species of fossil Ginkgo leaves. 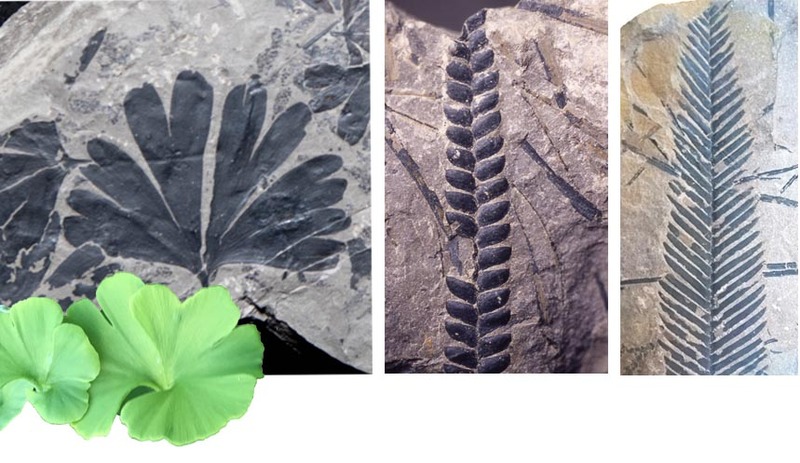 Today, there is just a single living species of Ginkgo on Earth—Ginkgo biloba—but during the Jurassic, there were many and varied species within this genus. We also analysed fossil cycads and various conifer families. The results from the fossil leaves exceeded our expectations by far and we realised that a major break-through was made when we finished the statistical analyses! The chemical signatures of the fossil leaves grouped according to their known affinities! Time for a glass of bubbly at the lab! Now we could proceed with the even more challenging part of our experiment! Here we needed advice from experienced paleobotanists, working with really ancient plants to guide us on which plant groups were most interesting to select for the analysis, and on board came Professor Stephen Mcloughlin from the Museum of Natural History in Stockholm. We analysed a range of extinct plant groups that do not have any close living relatives, such as the Bennettitales and the enigmatic Nilssonia, for which the evolutionary relationships are uncertain. These plants were distributed globally during the Mesozoic but died out together with the dinosaurs, as a consequence of an asteroid impact 66 million years ago. 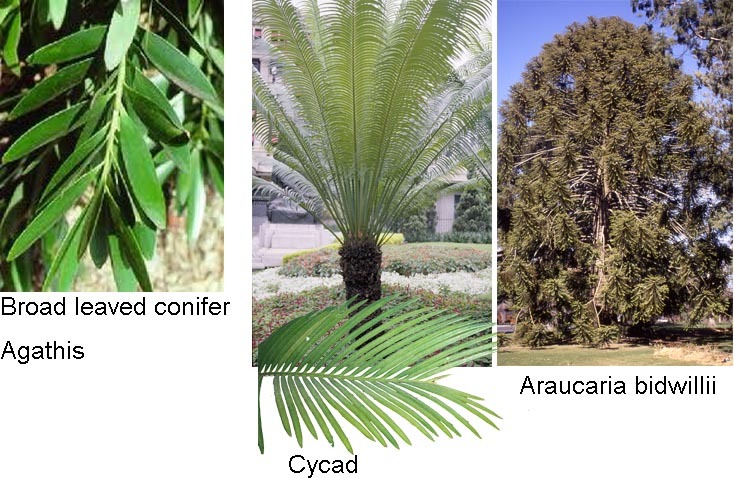 We found that the bennettites and Nilssonia were closely related, but that the two were not closely related to the cycads, as previously assumed based on leaf morphology. Another interesting result was that the needle-leafed Czekanowskia chemically grouped in a sister relationship to the Ginkgo family, thus confirming a relationship long suspected on morphological criteria. 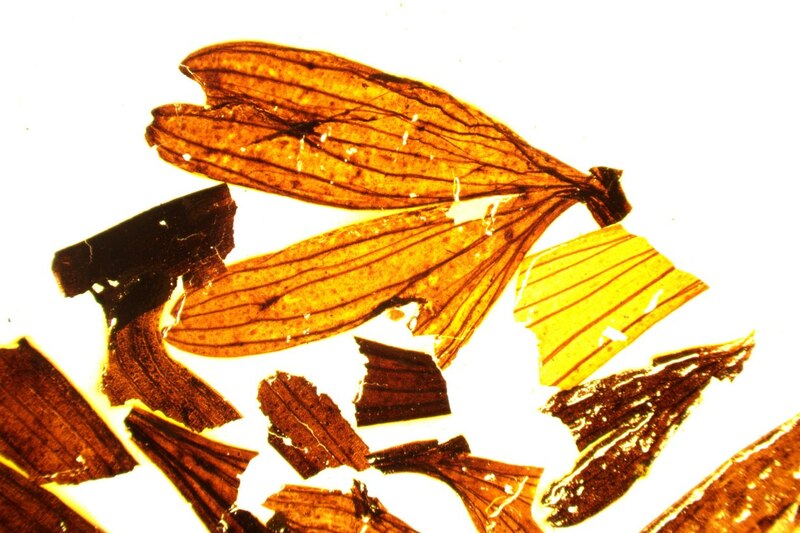 This study shows that fossil leaves retain a great deal of chemical information despite being buried for millions of years and that IR spectroscopy is a valuable new tool for obtaining biochemical data from fossil plants, where DNA is unavailable. We are currently continuing with expanded studies of several enigmatic extinct plant groups to clarify their controversial relations. Why did fossils of the Ediacaran biota appear suddenly at large size?